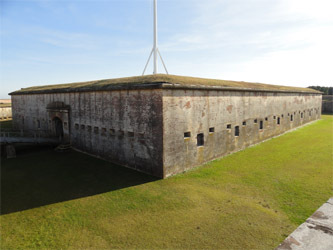 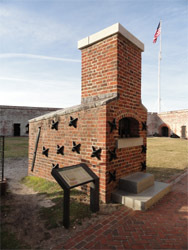 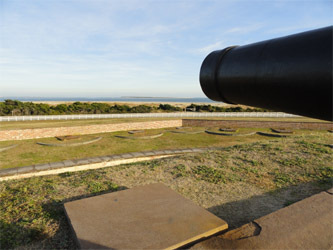 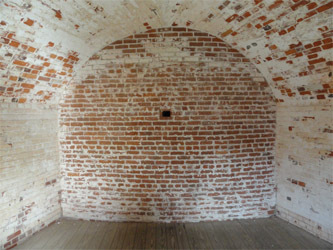 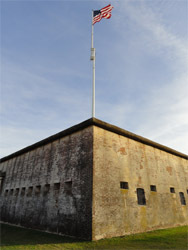 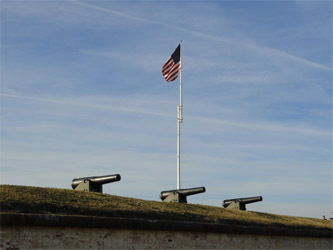 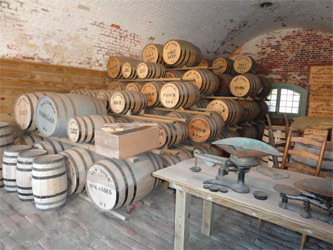 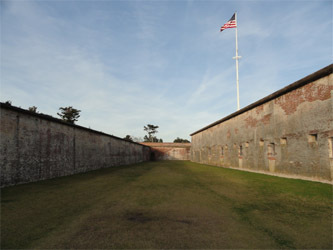 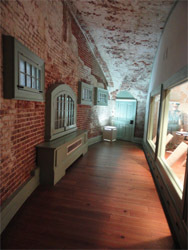 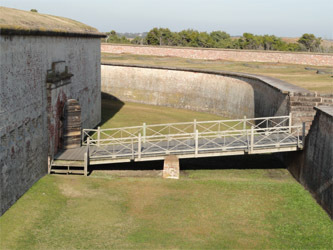 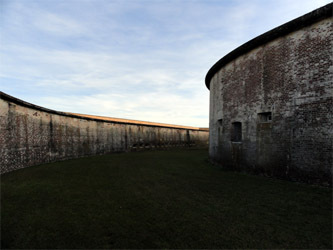 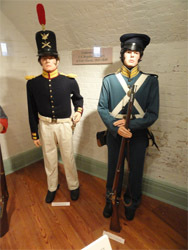 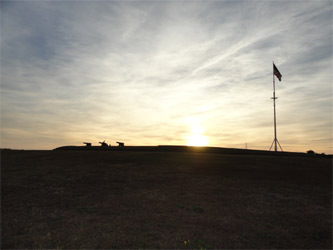 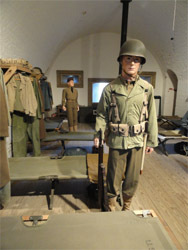 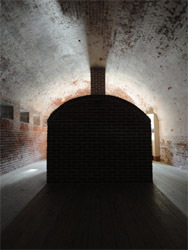 Visit the Starforts.com Fort Macon page here! 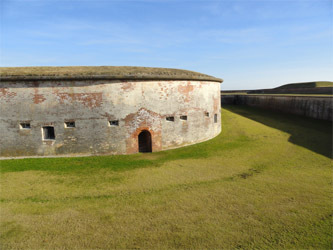 Fort Macon State Park gave me what is quite possibly the best starfort-vising experience I've had thus far in my travels: Which may seem ironic in that it's not a starfort by any stretch of the imagination, but it was designed by Simon Bernard (responsible for such famed American starforts as Fort Monroe, Fort Adams and Fort Morgan) and built in the 1820's, when the Third System of American fortification was in full swing...so as far as I'm concerned, it's a starfort. 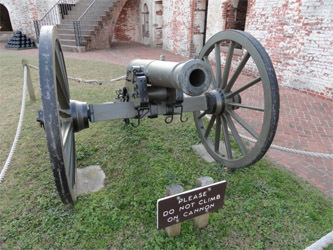 And I'm the one writing the copy here. 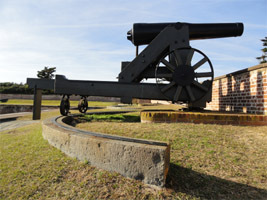 Fort Macon not only has a relatively unusual shape for forts built in that era, but it also managed to escape most of the indignities of the Endicott Era, in which American seacoast fortifications that were deemed important enough were clobbered with millions of tons of concrete, in the interest of mounting the impossibly huge guns that were needed to take on the Kriegsmarine at the end of the 19th century. 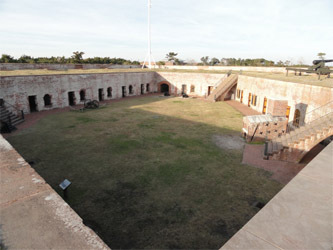 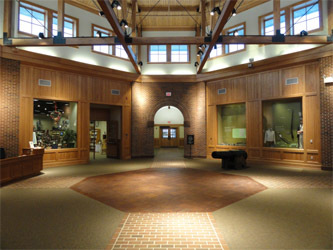 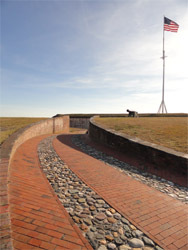 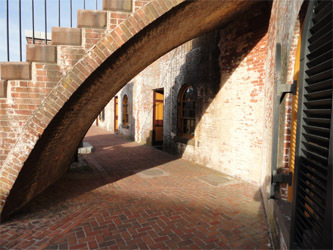 Fort Macon got a little Endicott money, but very little of its outward appearance was changed, so it still looks much like it did when it was built. 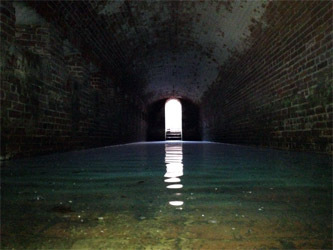 Atlantic Beach is really at the ragged edge of what could be considered daytrip distance from my home base in Central Virginia, so I drove forever, and got to Fort Macon pretty late in the day, with only about two hours to explore...which would be shameful if not for the hyperactive state that I find myself in when I get inside a starfort, which leads to lots of high-speed scurrying about: Two hours was plenty. 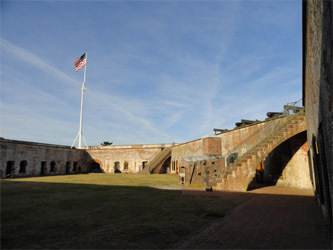 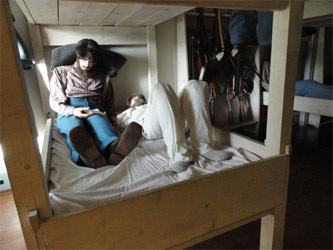 There were a few other fort visitors when I was there, but not enough to photobomb any of the pictures I was taking. 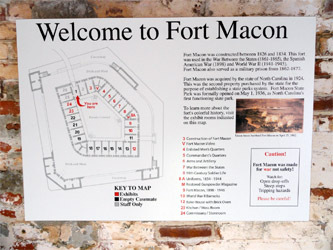 to answer my questions (in fact he did answer a large number of questions for me by email after I got home), as he is the author of Fort Macon: a History, an incredibly informative and fun book published in 1999. 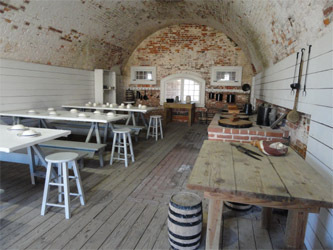 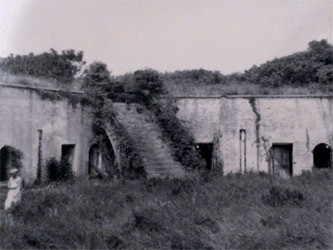 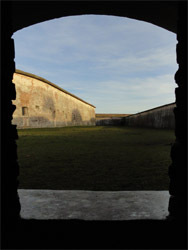 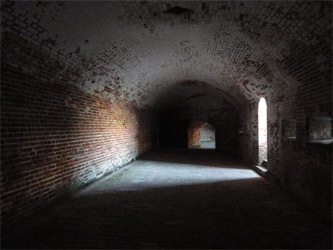 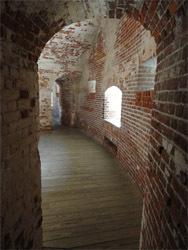 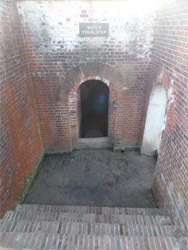 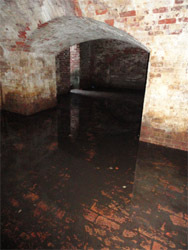 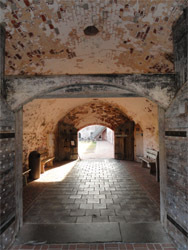 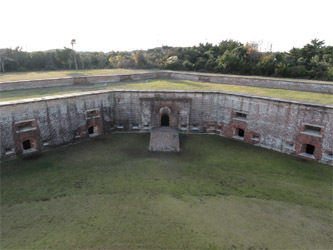 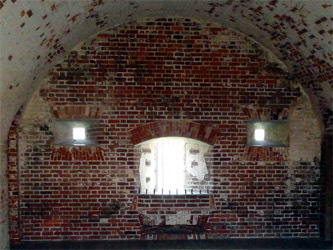 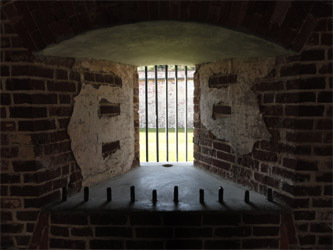 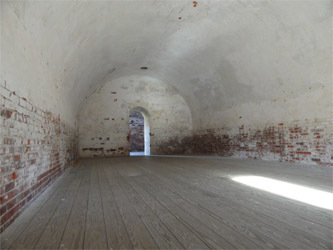 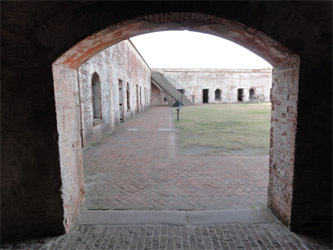 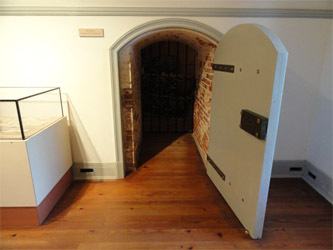 There are several casemates set up in period fashion to represent the various eras enjoyed by those lucky guys who got to be posted in the wet sandyness that was Fort Macon, but most of the fort is in a delightfully unimproved form. 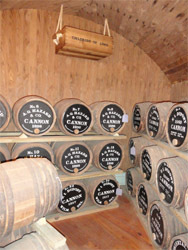 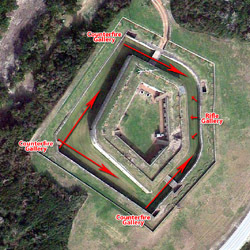 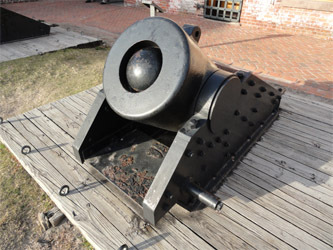 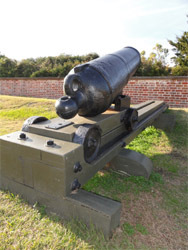 Particularly fun for me were the counterfire- or reverse fire batteries, which face into the fort's dry moat. 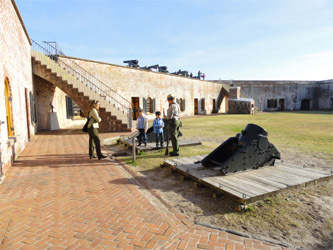 For ease of access once I got there, no fee to park or visit the fort and overall state of the park, Fort Macon definitely ranks at the top of my growing list of fave starfort visits! 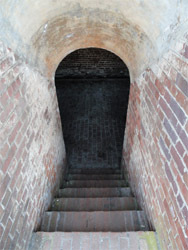 Each of the pix on this page represents a larger pic, and even more of my blathering as relates to each. 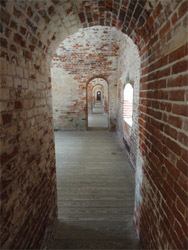 If I were to ask very nicely, do you think you might find the time to click on a pic or two? 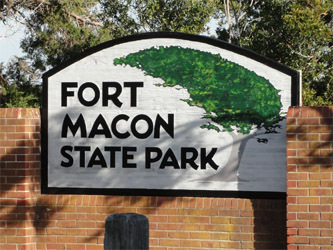 Why thank you so very much. 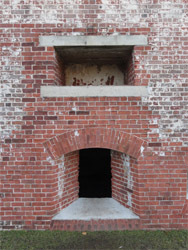 Smileyface.